The Women’s Center of Greater Lansing is helping area women build careers in the skilled trades, one concrete slab and brick at a time. The center graduated its first class of six students in July from the new Women in Skilled Trades Apprenticeship Readiness Program. The program provides 13 weeks of training for women to start an apprenticeship position in any skilled trades occupation. It’s among several programs at the center designed to help women re-enter the workforce. The center collaborated with Capital Area Michigan Works, Michigan State University, Granger Construction, Associated General Contractors of Michigan and the U.S. Department of Labor to launch the program. The nonprofit organization has helped 7,500 women since the center’s doors opened in 2005. Services provided at the center include resume building workshops, support groups, professional clothing closet, counseling, computer lab, emotional support cats and a legal clinic. All services provided at the center are free and available to any woman who needs support. 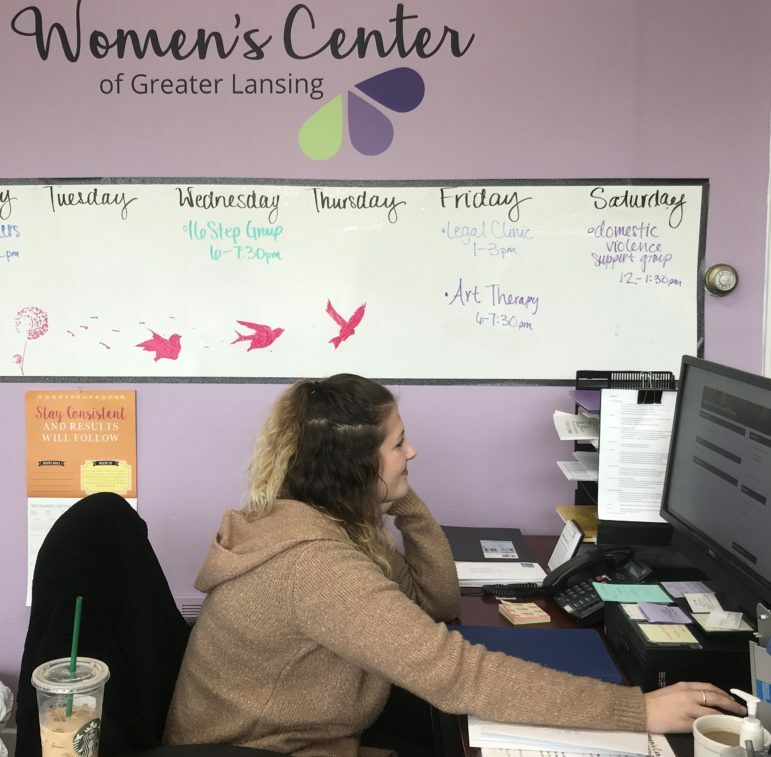 Kellie Lambie, a volunteer at the Women’s Center of Greater Lansing, answers phones, creates appointments and interacts with clients. Lambie is the first person visitors see when they walk through the center doors. Support groups at the center provide safe spaces for women to talk about a variety of issues. These issues include how to find a new job, how to create a nurturing environment for children when there is violence in the home and how to heal from sexual violence through art therapy. Kellie Lambie, a senior psychology student at Michigan State University, and Lansing resident Melanie Berg are volunteers at the center. LANSING – A proposed revision of federal regulations for young farm workers is in need of clarification, according to the U.S. Department of Labor. “Children employed in agriculture are some of the most vulnerable workers in America.